Properties in Cook Islands average 4.5 out of 5 stars. 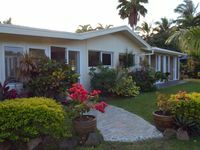 Property 11: LeoMae Rarotonga. Stunning home in Titikaveka. Property 30: Orani - perfect for a budget conscious family! KEANU'S BATCH - COZY, QUIET IN HEART OF MURI! Property 46: KEANU'S BATCH - COZY, QUIET IN HEART OF MURI! Absolute Beachfront Living.. Couples/honeymooners - Your Piece Of Paradise! 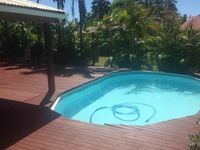 Property 49: Absolute Beachfront Living.. Couples/honeymooners - Your Piece Of Paradise!